Sedation dentistry is the process by which anxious or nervous patients are treated in a relaxed environment to remove the fear that they experience when receiving treatment normally. This involves affecting the central nervous system with drugs, including tranquilisers and anxiolytics. These can be administered to the patient in several ways. Sedation dentistry is sometimes referred to as sleep dentistry although this doesn’t cover the whole array of techniques at the disposal of the City of Shimla dentist. The medication used to induce the relaxed state does not have to put the patient to sleep but can simply act upon the nervous system to relax the patient and make them feel more comfortable. Sedation dentistry can be used on any patient who is anxious about receiving any kind of dental treatment, be it cosmetic or restorative. In some cases this can help the patient to overcome their fears once they realise that there is little or no extended pain involved in the dental procedures. Sedation dentistry can also be used on patients who suffer from very sensitive teeth and find normal treatment very painful. It can also be used for patients who have medical conditions such as Parkinson’s disease and Cerebral Palsy. The three main types of sedation are oral conscious sedation, inhalation sedation and intravenous sedation. Each will be used depending on the conditions and the needs of the patient. The dentist may also use local or general anaesthetic to numb specific areas of the body or mouth. 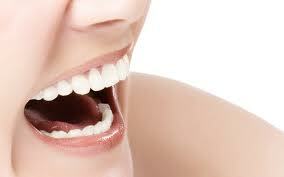 Sedation dentistry has obvious benefits for patients and dentists alike. It allows them to receive the treatment they need without undergoing what can be a very traumatic experience. For the dentist, it allows them to be able to carry out the treatment without the patient behaving in an anxious manner, which can very often make things more complicated. Just as in other fields of healthcare and the wider world, technology is having an incredible effect on the world of dentistry. A new technology called Cerec is revolutionising the way dental treatments are being carried out and offer a glimpse into the future of dentistry. It is also possible to use Cerec technology to create a whole row of dental veneers that can completely transform a smile. Your dentist is now using Cerec technology to treat patients. Make an appointment to find out if you can benefit from the new technology. Tooth Decay to Be a Thing of the Past? Tags: Prevent Tooth Decay, Tooth Decay to Be a Thing of the Past? The Groningen professors Bauke Dijkstra and Lubbert Dijkhuizen have deciphered the structure and functional mechanism of the glucansucrase enzyme that is responsible for dental plaque sticking to teeth. This knowledge will stimulate the identification of substances that inhibit the enzyme. Just add that substance to toothpaste, or even sweets, and caries will be a thing of the past. The results of the research have been published this week in the journal Proceedings of the National Academy of Sciences (PNAS). The University of Groningen researchers analysed glucansucrase from the lactic acid bacterium Lactobacillus reuteri, which is present in the human mouth and digestive tract. The bacteria use the glucansucrase enzyme to convert sugar from food into long, sticky sugar chains. They use this glue to attach themselves to tooth enamel. 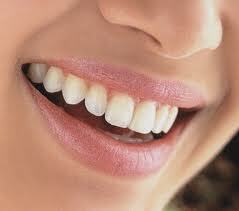 The main cause of tooth decay, the bacterium Streptococcus mutans, also uses this enzyme. Once attached to tooth enamel, these bacteria ferment sugars releasing acids that dissolve the calcium in teeth. This is how caries develops. Using protein crystallography, the researchers were able to elucidate the three dimensional (3D) structure of the enzyme. The Groningen researchers are the first to succeed in crystallizing glucansucrase. The crystal structure has revealed that the folding mechanism of the protein is unique. The various domains of the enzyme are not formed from a single, linear amino acid chain but from two parts that assemble via a U-shaped structure of the chain; this is the first report on such a folding mechanism in the literature. The unravelling of the 3D structure provided the researchers with detailed insight into the functional mechanism of the enzyme. The enzyme splits sucrose into fructose and glucose and then adds the glucose molecule to a growing sugar chain. Thus far the scientific community assumed that both processes were performed by different parts of the enzyme. However, the model created by the Groningen researchers has revealed that both activities occur in the same active site of the enzyme. Dental caries is a highly prevalent disease that is disproportionately distributed in the population. Caries occurrence and progression is known to be influenced by a complex interplay of both environmental and genetic factors, with numerous contributing factors having been identified including bacterial flora, dietary habits, fluoride exposure, oral hygiene, salivary flow, salivary composition, and tooth structure. Previous reports have characterized the influence of the genetic variation on taste preferences and dietary habits. In an article published in the Journal of Dental Research titled “Taste Genes Associated with Dental Caries” lead researcher Steven Wendell and researchers Melissa Brown, Margaret Cooper, Rebecca DeSensi, Mary Marazita, Xiaojing Wang and Robert Weyant, all from the University of Pittsburgh; and Richard Crout and Daniel McNeil from West Virginia University, hypothesized that genetic variation in taste pathway genes (TAS2R38, TAS1R2, GNAT3) may be associated with dental caries risk and/or protection. In this study, families were recruited by the Center for Oral Health Research in Appalachia (COHRA) for collection of biological samples, demographic data and clinical assessment of oral health including caries scores. Multiple single nucleotide polymorphism (SNP) assays for each gene were performed and analyzed using transmission disequilibrium test (TDT) analysis (FBAT software) for three dentition groups: primary, mixed, and permanent. Statistically significant associations were seen in TAS2R38 and TAS1R2 for caries risk and/or protection. TMD, also commonly known as TMJD, is short for temporomandibular disorder and is a condition that affects the jaw, muscles in the neck and head and the TMJ joints next to each ear. The TMJ joint is responsible for coordinating movements that lead to eating, drinking and talking so any complaint in the area can have a significant impact on the life of the patient. The main symptom of TMJ is unfortunately pain. This usually occurs when the patient is chewing or yawning, or any other extended movement of the TM joint. There may also be a painful ringing or tinnitus in the ear. Other major symptoms include swelling around the joint, a change in the bite and profile and trouble swallowing.In TMJ disorders, the joint can be affected by injury, arthritis, general wear and tear or degenerative joint disease. The disk of cartilage that cushions the joint can also become damaged or displaced, leading to a loss of flexibility or range of motion for the joint. Patients often experience pain, difficulty opening and closing their jaw or even hear a “clicking” or “popping” sound when using the joint. One of the major problems when diagnosing TMJ is that a lot of these symptoms can be caused by manifold other conditions, some of which are far more likely to occur. This means that TMJ is often far down the list of diagnoses. Your dentist, if suspects TMJ, will conduct something called a clench test. This involves clenching the jaw to assess whether there is a structural disorder that could be TMd. In most cases, treatment of TMJ will involve some level of orthodontics. In some severe cases, there may be a need for surgery but most bite misalignments can be cured with orthodontic treatment. During treatment, it may be necessary to wear a mouth guard to protect the lower teeth. Symptoms can be treated with anti-inflammatory medications, bite splints or physical therapy techniques. But for patients with lasting TMJ pain, a consultation with an oral maxillofacial surgeon or a TMJ/oro-facial pain specialist can bring them more options to ease their condition. The most minimally invasive technique for TMJ surgery is arthrocentesis, a short procedure usually performed under IV sedation or general anesthesia. Surgeons inject the joint with local anesthetic and fluid to flush out inflamed fluids. Arthrocentesis is effective when inflammation is limited to or focused most within the joint. When treatment requires open surgery, or arthroplasty, surgeons have several options, including disk repositioning, discectomy and joint replacement. Because these surgeries involve more risk, including damage to the ear canal or nearby nerves, they are only used after other treatment options have been considered. Disk repositioning: Disk repositioning is used when the cartilage disk has slipped out of place inside the joint. Once out of place, the slipped disk can cause the often noted “popping” noise inside the joint, pinch a nerve surrounding the joint or stretch or inflame the surrounding ligaments. In disk repositioning, the surgeon makes an incision, moves the displaced disk back to its original position and stitches it in place, repairing surrounding ligaments if needed. Repositioned disks can sometimes slip back or degenerate. Discectomy: A discectomy is a full removal of the disk in the TMJ joint. Disks that are constantly out of position or pop back and forth inside the joint are good candidates for this surgery. Articular eminance recontouring: For some patients, the articular eminence (the “socket” part of the TMJ’s ball and socket joint) can be too deep. In this treatment, the surgeon shortens and smooths the articular eminence to prevent excessive forces on the joint, improve range of motion and reduce pain. TMJ replacement: Newer techniques and materials have made prosthetic replacement of the TMJ a feasible option for patients with end-stage TMJ degeneration. The replacements have a socket component made of dense polymer and a jaw joint head made of a mixed alloy material that is attached to the remaining jaw bone. Prostheses are recommended to be replaced every decade. There are various other treatments your dentist will be able to explain upon diagnosis of TMJ. If your jaw joints hurt or are swollen, then contact a dentist and ask for a test for TMJ. 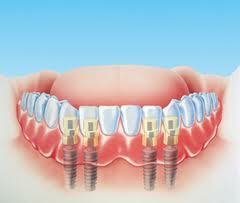 Dental implants have offered a successful way to restore teeth for more than 20 years. New challenges for improving the process include shortening the time to restore functionality and meeting aesthetic demands. Altering implant surfaces to help promote bone integration is one solution. SLActive, a new chemically-modified surface for titanium, the standard material of which implants are constructed, has shown positive results in this area. An article in the August issue of the Journal of Oral Implantology reports a 98.2% success rate for SLActive at dental patients’ one-year follow-up. A noninterventional study was conducted to compare these results with previous findings of high survival and success rates among the same type of implants in a controlled clinical trial. In this noninterventional study, results were obtained under common dental practice conditions where patient selection was not restrictive and technique was not controlled. Thirty dental clinics in Italy participated, and 226 patients were treated. 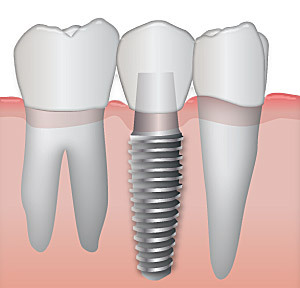 Patients presented with a variety of risk factors, and both early (48 hours to 3 months) and traditional (3 to 6 months) loading of the implant was performed. Osseointegration-the connection between living bone and artificial implant-can determine stability of the implant over time. Surface properties of the titanium implant, such as topography and roughness, can assist the chemical and biological interface that occurs in the early stages of healing and thus influence the long-term outcome. The 98.2% success rate of this study was similar to that reported in formal clinical trials. The high success rate in both studies shows that the SLActive implant surface can be safely used with consistent, predictable results. Patients can expect integration of their implants that restores functionality for chewing and speech as well as aesthetics. For most people, wisdom teeth are not much more than an annoyance that eventually needs to be removed. However, a new study appearing in the Sept. 17 Journal of Biological Chemistry shows that wisdom teeth contain a valuable reservoir of tissue for the creation of stem cells; thus, everyone might be carrying around his or her own personal stem-cell repository should he or she ever need some. Groundbreaking research back in 2006 revealed that inducing the activity of four genes in adult cells could “reprogram” them back into a stem-cell-like state; biologically, these induced-pluripotent stem cells are virtually identical to embryonic stem cells, opening up a new potential avenue for stem-cell therapy whereby patients could be treated with their own stem cells. However, despite their promise, making iPS cells is not easy; the reprogramming efficiencies are very low and vary among the cells that can be used for iPS generation and thus require good amount of “starter” cells — which might involve difficult extraction from body tissue (unfortunately skin cells, the easiest to acquire, show very low reprogramming efficiency). Now, a team of scientists at Japan’s National Institute of Advanced Industrial Science and Technology may have found an ideal source: third molars, commonly known as wisdom teeth. The soft pulp inside of teeth contains a population of cells known as mesenchymal stromal cells that are similar to cells found in bone marrow, a common stem-cell source. However, unlike bone marrow, tooth pulp is more easily obtained, especially in wisdom teeth, which most individuals have removed anyway. 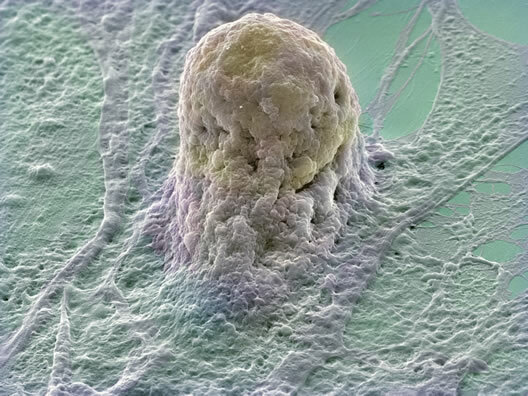 The researchers, led by Hajime Ohgushi, collected tooth samples from three donors and managed to generate a series of iPS cell lines following the similar procedure of activating three key genes (however, in another beneficial change they did not have activate the c-MYC gene which might lead the cells to become cancerous). The different cell lines displayed varying degrees of robustness but in some cases proliferated quite well, up to 100 times more efficiently than typical skin-cell-derived iPS cells. The molar-derived cells also could differentiate into many other cell types including beating cardiomyocytes (see an attached movie), as expected.